Riding a bicycle comes with inherent risks. Even the most diligent cyclists can suffer catastrophic injuries when they encounter drunk, distracted, or otherwise negligent drivers. If you were hurt in a bicycle accident, there are steps you should take right away to strengthen your claim. For example, you should visit a doctor immediately—even if your injuries seem relatively minor. Getting an official diagnosis could help your attorney prove causation and damages. Also, it’s possible that your injuries are more severe than you think, and if you fail to undergo a medical evaluation, this could lead to a dispute. It’s especially common for cyclists to sustain back injuries, which often present latent symptoms. If left untreated, these injuries can progress and lead to serious complications and even permanent damage. What Evidence Will My Attorney Need to Prove the Severity of My Back Injury? What Kinds of Damages Might Be Recoverable? 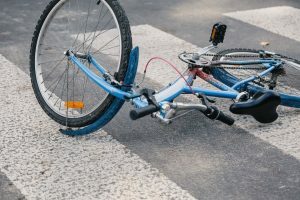 How Long Do I Have to File a Lawsuit Following a Bicycle Accident? If you sustained a back injury in a bicycle accident, it’s wise to call an attorney immediately after your first medical evaluation. In the state of Massachusetts, the statute of limitations for personal injury lawsuits is typically three years. That means if the opposing party is uncooperative and you are unable to reach a settlement, you must bring the case to trial within three years. If you were struck by a government vehicle, though, you must serve the appropriate agency within two years. If you sustained a serious back injury in a bicycle accident, you may be entitled to compensation for medical bills, lost wages, and other damages. To determine if you have grounds for a claim, contact Charnas Law Firm. Attorney Scott Charnas has assisted hundreds of clients throughout New York and Massachusetts in personal injury and wrongful death cases. Call 212-980-6800 or use our Online Contact Form to set up a free and confidential consultation with a bicycle accident lawyer in Massachusetts.